For the past couple of years, several tech companies have been showing flexible displays at CES. None of these prototypes have been able to reach the market. Despite that, work is being done to make displays less damageable. LG showed off today, few prototypes that surpasses all others. The most inspiring of them, a Display that can be Rolled! The secret of this display is a new and much thinner polyamide film on the back of the panel (instead of the typical plastic) which offers the panel considerably more flexibility. The prototype currently has a resolution of 1,200 x 810 which is bound to improve as more work is done on it. Alongside the roll-up screen, LG put on display a a transparent OLED panel. Although not as much exciting, this display has better transmittance levels from all the current see-through displays which means that the picture looks much better and less hazy. 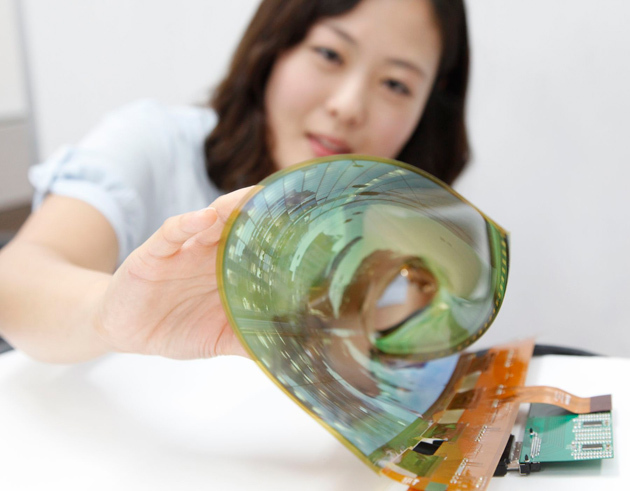 LG claims that it will be able to make Ultra HD flexible displays of 60 inch by 2017.